This year is certainly shaping up to be the year of Gridman. 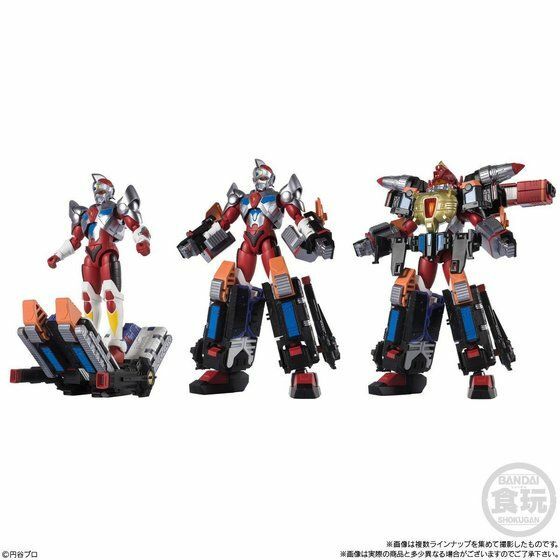 In case you missed it, an awesome new candy toy set of Gridman & God Zenon was announced by Bandai just a few hours ago. Thanks to a new pre-order link that just went up on P-Bandai we can now confirm that this set does indeed belong to the Super Minipla line here’s the latest on Super Minipla Gridman and God Zenon Set! Pre-Orders for the Super Minipla Gridman & God Zenon set will open up July 26, 2018 and will ship sometime in November 2018 » Continue Reading.